All of the flowing rivers, thickets of oak trees, and rugged limestone cliffs of the Texas Hill Country provide a breathtaking backdrop for experiencing the outdoors. If you’re looking to marvel at Central Texas’ natural beauty, look no further than any of the state parks near Austin. Whether you’re ascending to the peak of Enchanted Rock, watching the emergence of millions of bats at Old Tunnel State Park, or admiring Colorado Bend State Park’s beautiful Gorman Falls. There’s no end to all the amazing things you can see and do at these state parks, which is why we’re showcasing a few of them below. 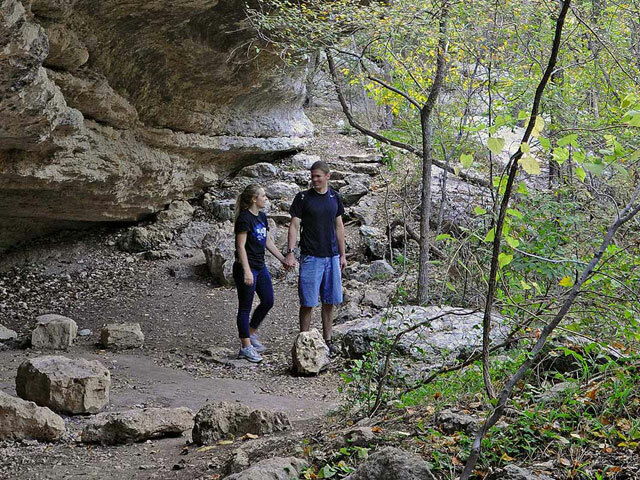 Descend into the mesmerizing depths of Longhorn Cavern State Park, home to an underground world full of unique geological features located about 1.5 hours northwest of Austin. 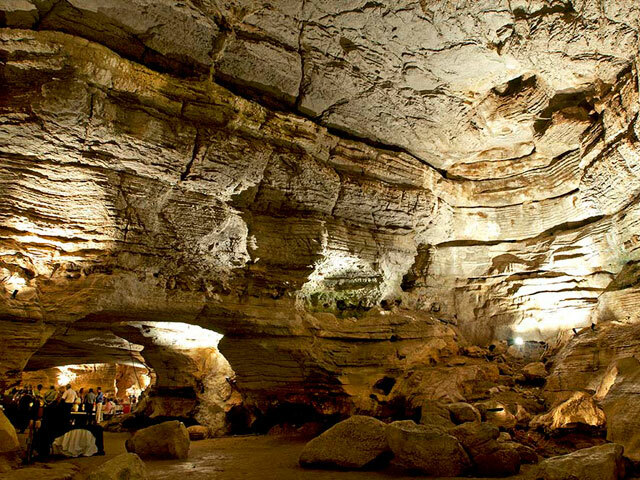 Explore the cavern and you’ll see limestone walls and formations shaped and sculpted by the waters of a shallow tropical sea that once covered the Texas Hill Country millions of years ago. There’s always a surprise around every corner as each room looks different from the rest. Choose from one of four tours to see it all for yourself, from the guided 1.5-mile Walking Tour to the three-hour photography tour. Feeling adventurous? Take on the Wild Cave Tour, an up to three-hour sojourn into an undeveloped portion of one of the most unique caves in the world. Established to honor former president Lyndon B. Johnson, this state park in Stonewall is a veritable showcase of the beautiful landscapes, wildflowers, and wildlife of the Hill Country. Situated across the Pedernales River, the state park sits near Johnson’s ranch and birthplace. Hike the scenic Nature Trail to see the Official Texas Longhorn Herd and a herd of American bison. 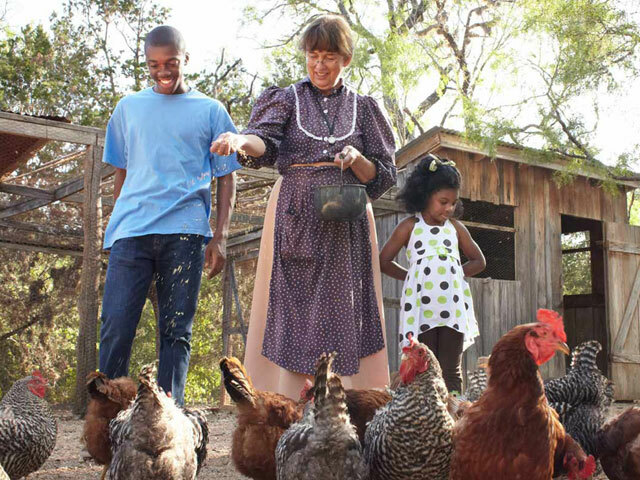 Then visit the Sauer-Beckmann Living History Farm, a faithful recreation of a Hill Country ranch in the early years of the 20th century. Watch as interpreters wearing period clothing go about their day doing farm and household chores—like milking cows and cooking meals—just as they were done in that era. If you visit during summer, make sure to cool off at the park’s swimming pool that is open from June through mid-August. Traverse tranquil woodland trails, rest in the shade of a limestone cliff, and keep an eye out for such native and migratory birds as the eastern bluebird or the great horned owl. All of this awaits in Mother Neff State Park, one of the oldest state parks in Texas located just 30 miles southwest of Waco. With 3.5 miles of hiking trails that lead to sights like a cave used by the Tonkowa Indian tribe, a rock tower, and a birding blind, the park is the ultimate getaway for anyone looking to enjoy the outdoors.